It's all because I am with you. Who would adore me as much as you do. Tell me I'm not dreaming. That there is that soulmate for everyone. 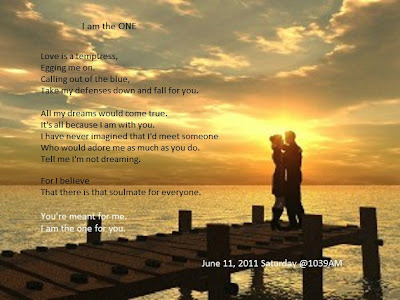 I am the one for you. The hope of every true romantic at heart.